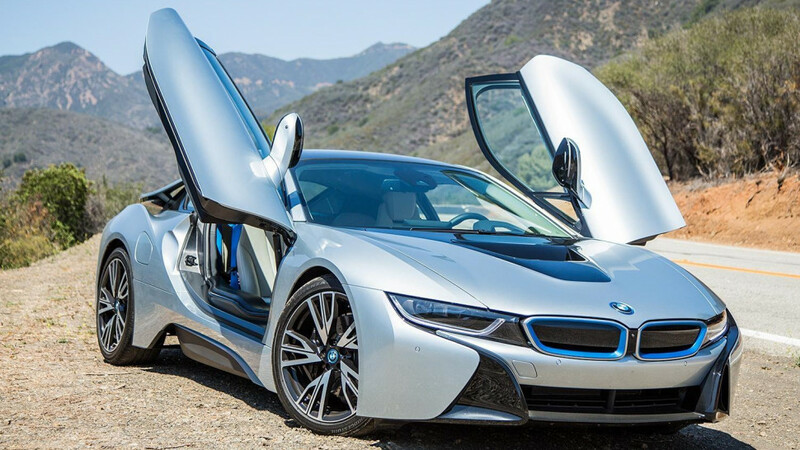 As the EV technology arms race gathers pace, the second generation BMW i8 is rumoured to boost power output from it's current 350 hp to a more Tesla like 750 hp. Automobile reports that the next-generation i8 will ditch the current i8’s three-cylinder, range-extending internal combustion engine in favor of going all-electric with three high-revving (25,000rpm) electric motors producing a total of 750 hp and more potent batteries capable of delivering a 500 kilometre range. Also part of the package are four-wheel drive, four-wheel steering, torque vectoring, and an active suspension system that scans the road ahead. While the front axle mounted electric motor, mated to a 2 speed GKN transmission, in the current i8 tops out at 11,400 rpm, more than doubling motor speed to 25,000 rpm (Tesla motors runs to 18,000 rpm) will allow a single speed gearbox ratio around 10:1 which will facilitate acceleration in the 3 second region 0-100 km/h while also allowing the next gen i8 to reach terminal velocity on Autobahnen. The rumoured three electric motor powertrain would see BMW only catching up to the recently launched Acura NSX. The Honda has a three electric motor torque vectoring systems with dual motors up front and combined ICE/eMotor at the rear. Back in 2012 Mercedes demonstrated the full potential of all-wheel-drive torque vectoring with their 740 hp Mercedes SLS E-Cell. By the time the next gen i8 launches around 2022-2023, a full decade after the SLS E-Cell, we can only hope BMW's next generation EV sports car at least meets if not exceeds that benchmark.